Our present is intrinsically bound up with our past, our sense of identity shaped and moulded by the cultural legacies of our forebears. That’s why organisations such as UNESCO exist to protect the cultural heritage of the world for current and future generations. 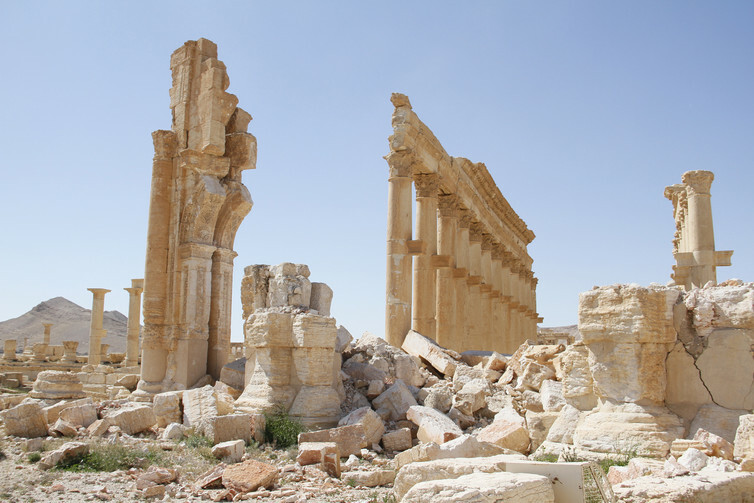 Recent years have all too clearly shown the need for that protection, with wars in the Middle East leading to the destruction or looting of many ancient monuments, while others are lost to natural disasters, cultural vandalism and iconoclasm or neglect. What can we do to prevent the loss of precious cultural heritage in the future? One way of preserving ancient monuments at least in a sense is to safeguard heritage using digital means such as laser scanning to create 3D models. But sometimes these efforts come too late for heritage sites – as with the iconic Drummond’s Mill in Bradford, ravaged by fire this year, or the deliberate destruction of the Bamiyan Buddhas in Afghanistan. While this approach often requires specialist imaging equipment, another approach is to use something that we already have in abundance: the effort, curiosity and holiday photographs of millions of travellers worldwide. Curious Travellers is a project launched by researchers from the universities of Bradford, St Andrews, Nottingham Ningbo China and Birmingham, alongside international heritage consultancy MOSPA, that aims to preserve a record of sites and monuments in 3D digital form, built not from specialist scans but from compilations of tourist snaps. Have you visited ancient sites and monuments? Do you have photographs of sites that are now at risk – or even those that have since been damaged or destroyed? The crowdsourcing project takes tourist photos and videos and combines them with other freely available resources scraped from websites such as travel blogs and social media sources in order to create 3D models of ancient monuments and sites. The reconstructed content is placed in context using relevant survey data that describes the site and landscape. Syria has seen its cultural heritage suffer irrevocable damage, such as at the historical city of Palmyra. There’s more to this project than simply preserving tourist sights for those that haven’t seen them. Cultural heritage plays a key part in the quality of our lives, building our sense of identity, proving a rallying point around which we build social cohesion and pride in a shared heritage. Many sites also provide leisure opportunities, particularly for families, and provide an economic boost from tourism that can be particularly important for developing nations. Global travellers are encouraged to get involved by donating images to Curious Travellers, a truly worldwide response to the threat of disappearing heritage and an opportunity to play a part in preserving it. The project will hopefully shape a fresh approach to recording sites and monuments, with travellers in future encouraged to photograph more obscure viewpoints at sites they visit. There have already been significant donations of images since launching at the British Science Festival in September – with some of the first 3D models soon to join examples on the project website. 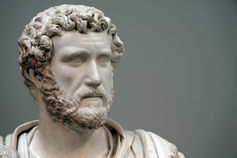 A statue head of Antoninus Pius (138-161AD) at Cyrene dating from about 140 AD. Initially the project will highlight threatened or damaged heritage sites in North Africa, including Cyrene in northeastern Libya near present day Shahhat, as well as those in Syria and the Middle East where as many Islamic sites have been damaged and destroyed as pre-Islamic sites that have often received most media attention. However, the project is accepting images of any threatened historic site around the world. Previous archaeological surveys and 3D scanning efforts at sites such as Cyrene are being added to the project through a framework that can be augmented by additional crowd-sourced imagery. Creating 3D digital models of sites alone is not a sufficiently strong argument for the project, but by putting them in context within their site and landscape setting we can continue to learn from them and use them to help inform site management and conservation. By linking these 3D models with geospatial data and other historic records within a historic environment record framework creates a meaningful legacy that can be used for education, future planning and development control. Aspirations to rebuild cities from the tatters of war-torn countries are emerging – architects are imagining ways to rebuild them and using architecture to heal deep rifts in the countries’ social fabric. Technically, a digital model can be used to 3D-print, or CNC-mill a physical recreation. This isn’t feasible at a site or landscape scale, but viewing 3D digital models in context may serve an important purpose in highlighting and campaigning for the protection and repair of damaged and threatened areas. A recent talk by Jeanine Abdul Massih presented at the World Archaeology Congress in Kyoto highlighted how important it is that the profile of threatened heritage sites is kept high to ensure they don’t suffer as cities are rebuilt. For example in Lebanon where international funding has flooded in to rebuild its cities, heritage sites face an uncertain future in the face of development pressure and soaring land prices. Without continued protection, the risk is that rebuilding during peacetime can be as damaging as the destruction during war.